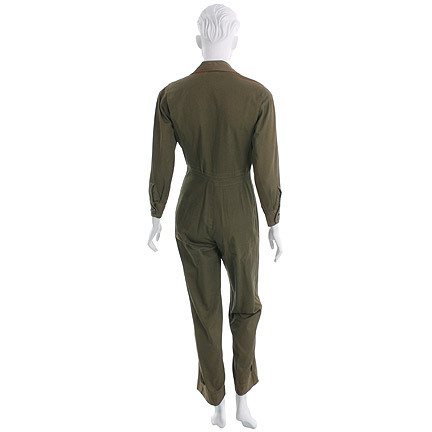 This work uniform was made for the legendary actress Paulette Goddard, playing the part of “Lt. 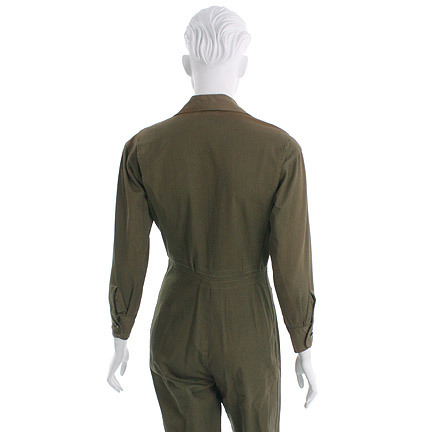 Joan O’Doul”, in the 1943 film SO PROUDLY WE HAIL, starring Claudette Colbert, George Reeves and Barbara Britton. 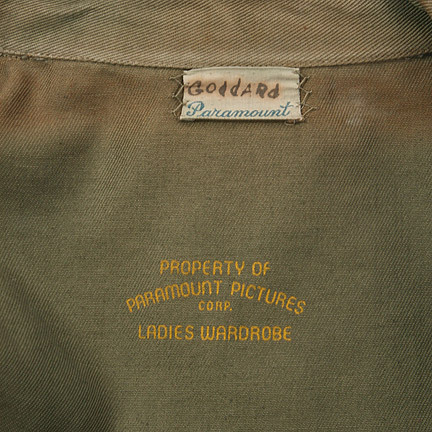 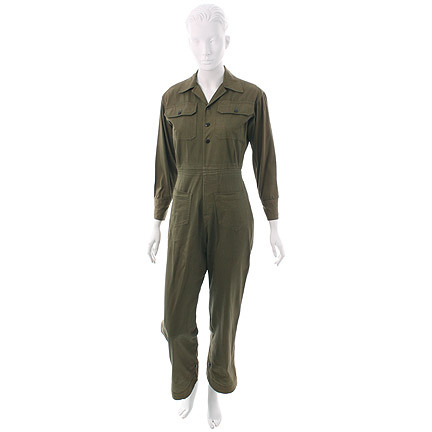 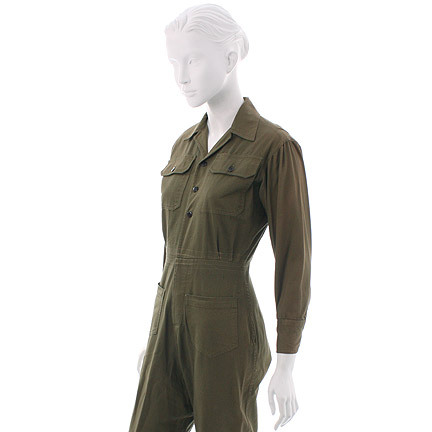 The coveralls were custom made for Ms. Goddard out of a khaki cotton material and the original Paramount label with Goddard written in black ink is sewn inside the collar & vintage Paramount dry cleaning tag. 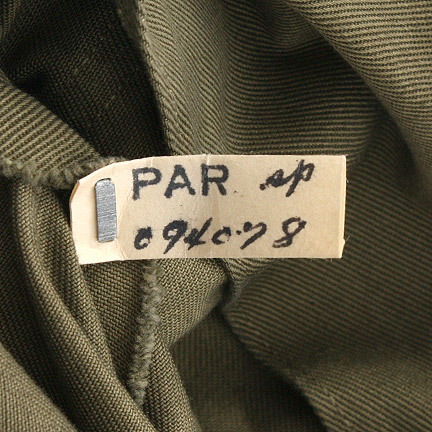 This garment was not used in the final version of the film and has been altered. 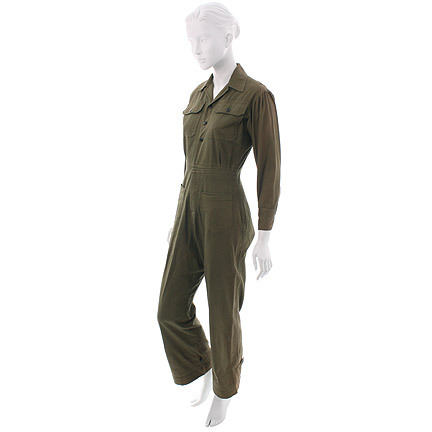 This film was nominated for four Academy Awards in 1944, including Best Actress (Paulette Goddard), Best Cinematography, Best Effects, and Best Writing. 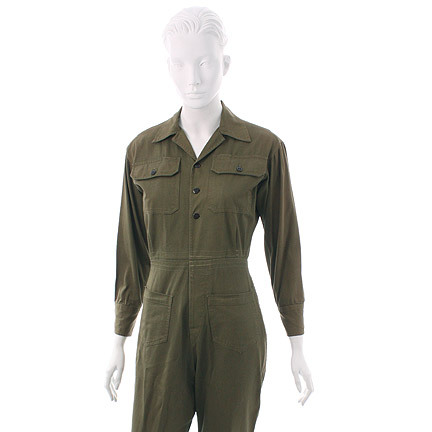 Made while WWII still raged, this film follows a group of nurses originally on their way to Pearl Harbor, who are diverted to the Philippines during the worst Japanese bombardment of Bataan and Corregidor. 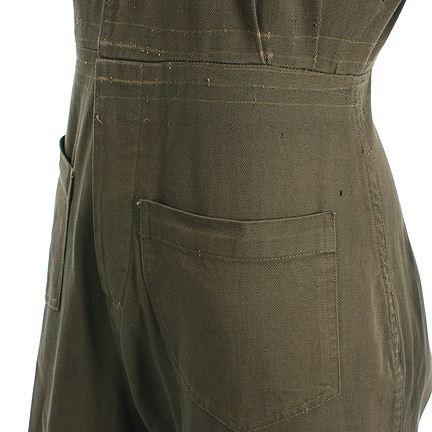 The production was which overseen by many of the surviving nurses (who were extras on the film) and war correspondents to ensure the film accurately recorded their experience. 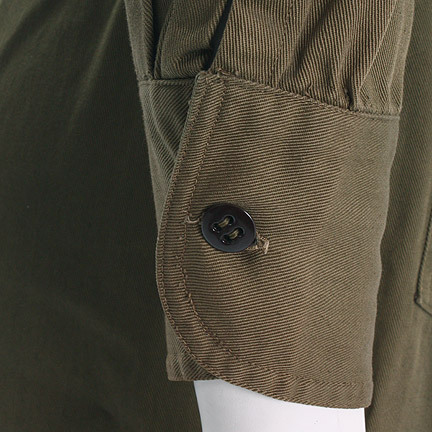 This garment is in excellent vintage screen worn condition and is accompanied by a letter of authenticity.